So excited to welcome Beth Vogt here today:) I've had the joy of becoming friends with this amazing author, grandmother, mom, encourager and above all, woman of God. It's such a treat to have her here sharing her heart on my One Word theme this year: Masterpiece. Let me get out of the way and allow her the floor! If I’m not careful, I can stumble over the word masterpiece. World-renowned masterpieces. Perfect pieces of art, right? But if we were able to have a conversation with the artists, they would know where the imperfections were in their creations. The “oh, I hope no one sees that mistake” moments that happened during the creative process. Maybe the slip-ups are hidden – but they are still there. And the masterpiece is no less beautiful. The Japanese have a cultural thread known as “wabi-sabi.” At it’s core, wabi-sabi is the art of finding beauty in imperfection and insight in earthiness – of desiring authenticity above all else. 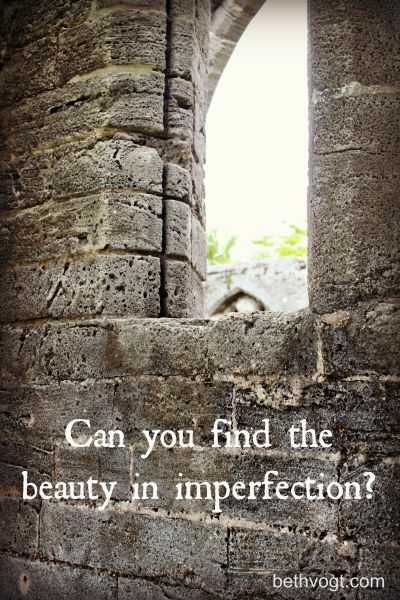 Embracing imperfection – finding beauty in something that is marred, faulty? What a reflection of God’s love for us. While we were yet sinners (Romans 5:8), God showed his love for imperfect us. 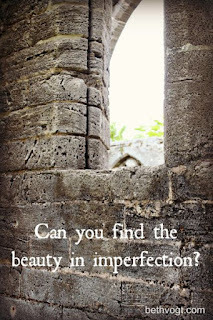 And because of God’s life-changing love for me, I am able to see myself as beautiful – imperfectly so. LOVE!! Thanks so much for stopping by, Beth! 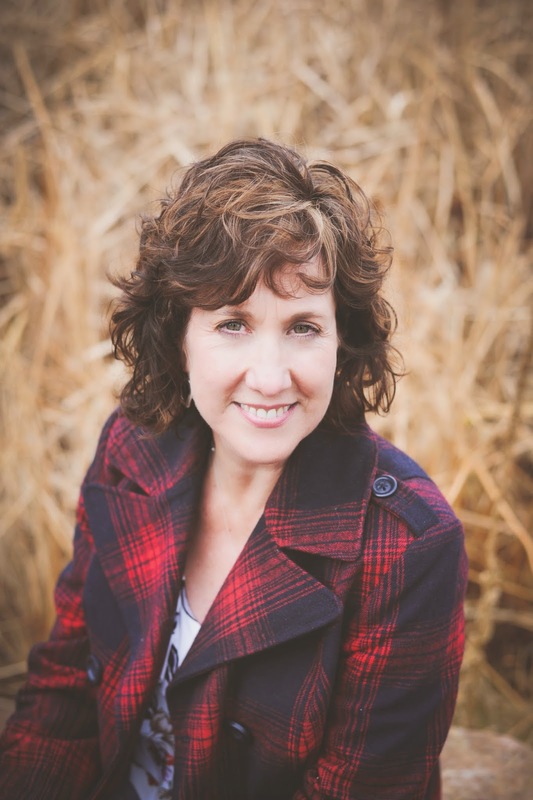 Beth K. Vogt believes God’s best often waits behind the doors marked “Never.” A 2015 RITA® Finalist and a 2015 and 2014 Carol Award finalist, Beth is a contemporary romance novelist with Howard Books. Her 2014 novel, Somebody Like You, was one of Publisher’s Weekly’s Best Books of 2014. 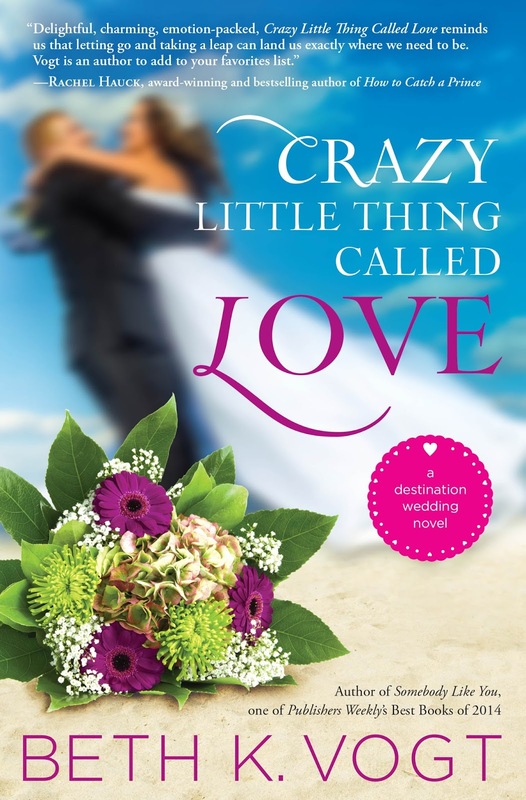 In 2015 she introduced her destination wedding series with both an e-novella, Can’t Buy Me Love (May) and a novel, Crazy Little Thing Called Love (June). Connect with Beth at bethvogt.com. I first met Beth online through Susan Mae Warren. Then I met her in real life at ACFW in Dallas. She's more beautiful and kind in real life. I'm so glad I stopped by today. Thanks for sharing! She is, isn't she:) So glad to have you, Jackie!